DON'T MISS THIS BEAUTIFUL WALDORF MODEL IN WOODED RIVER OAKS SUBDIVISION! GRAND TWO STORY LIVING ROOM WITH TURRET WINDOW. SEPARATE DINING WITH ROMAN COLUMNS. KITCHEN W/ GRANITE CNTRS, 42" MAPLE CABS, SS APPLIANCES & ISLAND/BRKFST BAR! HUGE FAMILY ROOM W/ GAS FP. 1ST FLR DEN/5TH BEDRM W/FULL BATH! MSTR SUITE W/SITTING RM, VAULTED CEILINGS, HIS/HER WALK-IN CLOSETS AND A SPACIOUS BATH WITH WHIRLPOOL, DOUBLE SINKS AND SEPARATE SHOWER. LRG BRICK PATIO AND 3 CAR GARAGE. 9' 1ST FLR & BSMT. Award-winning District 103 Lincolnshire schools plus Stevenson HS! MUST SEE!! I was searching for a Property and found this listing (MLS #10322721). 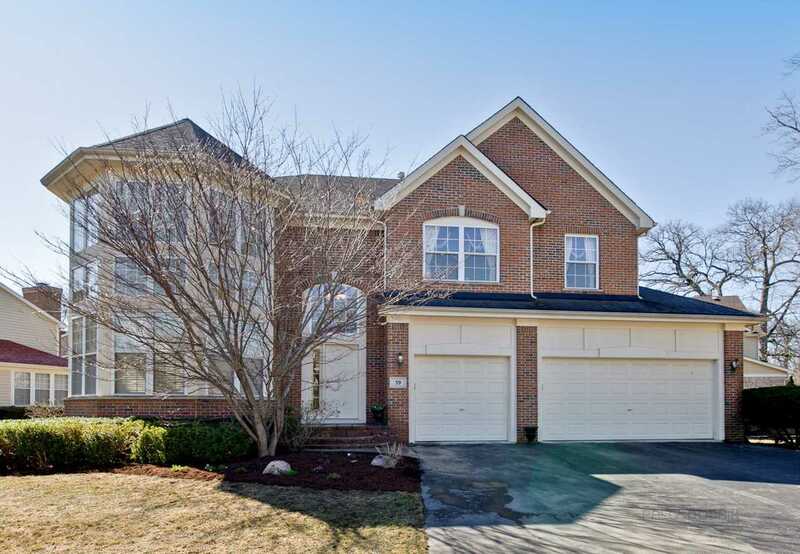 I would like to schedule a showing for 39 E River Oaks Circle Buffalo Grove, IL 60089. Thank you! I was searching for a Property and found this listing (MLS #10322721). Please send me more information regarding 39 E River Oaks Circle Buffalo Grove, IL 60089. Thank you!